Dreams about being pregnant are an extremely common dream theme at bedtime, especially for women. If you or a loved one has been covering this ground at night, you may have questions about what it all might mean. As part of a Huffington Post series on dreams and their meanings, we spoke to Ally Mead, who has studied dream analysis at the Jungian Institute of Los Angeles and offers channeled readings in addition to dream analyses, to get expert advice about the meanings of your or your loved one’s pregnancy dreams. Note: While dream analysis is highly subjective, this post might provide some insight into why this dream occurred or is recurring. What do dreams about being pregnant mean? "At its core, this dream is about creativity," Mead says. "Women literally create new life out of their bodies. If you dream of being pregnant, you are likely craving time to be creative, or 'dreaming up' a new and exciting creative project that will come into existence down the line. This could be as small as a home-based renovation project or a large-scale artistic work." What can I learn about myself from dreaming about being pregnant? "Pregnancy dreams are often multi-layered and speak about something inside -- represented by the fetus -- that has not yet been acknowledged or presented to the world," Mead says. "I find that people who have disowned goals and desires often dream of pregnancies. For example, someone who might have wanted to act, but chose the safe path of being a lawyer, may be plagued with pregnancy dreams until he or she takes steps to at least connect with that earlier passion." Are there any tricks to avoiding or inducing dreams about being pregnant? Other than ignoring all of your goals and desires, Mead suggests inducing the pregnancy dream by focusing on what you want to bring into the world. "In the dozy minutes right before sleep, anything is possible," Mead says. "If you'd prefer to avoid this dream, focus on what you have already brought into the world and need to nurture there." Beyond analysis, what cultural symbolism can be found in dreams about being pregnant? "Since pregnancy is universal, this dream isn't confined by culture or ethnicity. I often find that whether the person is male or female, universal symbols of fertility show up in these dreams," Mead says. These pregancy dream symbols can include the lotus flower, which is normally associated with Asian cultures, and the Celtic knot, which is associated with the cycle of birth and death. "It's amazing how often these come up and then eventually result in a literal pregnancy," Mead says. Who tends to have dreams about being pregnant most frequently? "Dreaming about being pregnant is an extremely common dream, particularly for women," Mead says. "However, I've had some male clients who also have pregnancy dreams. Since becoming a mother is one of the more socially accepted ways women get to experience and wield power, it can be a very rich and varied territory for dream analysis." What does it mean if I dream that someone else is pregnant when they aren't in real life? "Sometimes, these dreams can be literal and the person indeed turns out to be pregnant," Mead says. "Usually, though, this is a sign that something has been left inside, unexpressed or undone. Something this person once deeply cared about is either coming to the surface for them on an emotional or physical level or is begging to be let out by his or her soul." 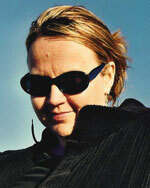 A psychic since childhood, Ally Mead offers a friendly, empowering approach in her work as the Sassy Psychic. She offers astrology, tarot, channeled readings and dream interpretations and is also the author of "Searching for Sassy: A L.A. Phone Pyschic's Tale of Life, Lust & Love." Mead has studied dream analysis at the C.G. Jung Institute of Los Angeles and has provided celebrity readings at the Academy Awards.